1251548 For12Students $1,52999 PACK H ITEM QTY. 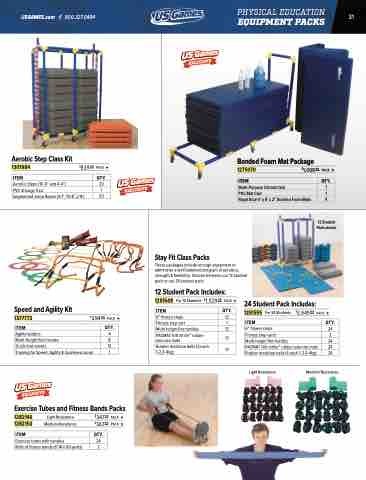 These packages include enough equipment to administer a well balanced program of aerobics, strength & flexibility. Choose between our 12 student pack or our 24 student pack.